Two women on an autumn afternoon walking their babies in the Common. Your caption made me smile. Looks like a beautiful park, and I'm amazed that everything is still wonderfully green! 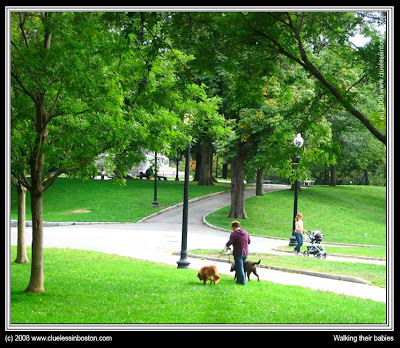 What a beautiful park- and i love your caption!